WAILUKU — The Lahainaluna High School boys basketball team’s showdown against Baldwin looked like it would be an easy ride early on. 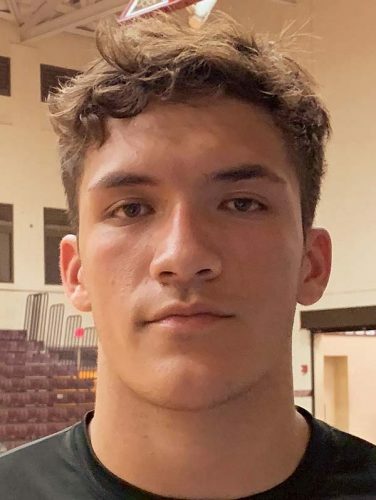 Then the Lunas had to hang on for dear life for their 44th Maui Interscholastic League win in a row, a 61-53 victory over the Bears on Saturday night at Jon Garica Gym. The Lunas bolted out to a 27-point lead midway through the second quarter before watching the margin shrink to as few as eight several times in the fourth quarter. The Lunas improved to 6-0 in MIL play while the Bears fell to 4-2. The Lunas rolled to a 24-6 lead at the end of the first quarter behind 15 points from John Flores, a transfer from the Philippines. Flores finished with 18 points, including five 3-pointers. Reece Pascua also had 18 points for the Lunas, who are now 61-1 under Justus in MIL play. Justus was impressed by the Baldwin comeback, which began with a 10-0 run in the third quarter to bring the Bears within 41-24. John Werner scored 16 points for the Bears, including nine of their 12 in the first half. Baldwin’s Holden Ioanis sank a corner 3 to make it 51-41 and then scored again inside to bring Baldwin within 51-43 and bring a timeout from Justus with 5:35 to go. Flores made his final 3 moments later to push the lead back to 11. Quintan Akaka and Werner scored baskets to bring the Bears within eight two more times in the final two minutes, but they would get no closer. “Something to build on, but Lahaina came out and they pressured us, they were ready to go,” Baldwin coach Cody Tesoro said. “That’s what good teams do. They’ve been the champs for the last (four) years. We’ve just got to take that punch and punch — and we did in the second half. Reece Pascua 18, Tre Rickard 13, Juztin Gaoiran 1, Malino Jacinto 5, John Flores 18, Sam Fifita 0, Josh Tihada 0, Mathew Rabino 0, Miki Tufuga 2, Tui Lai 4, TJ Galoia 0, Hunter Higdin 0. 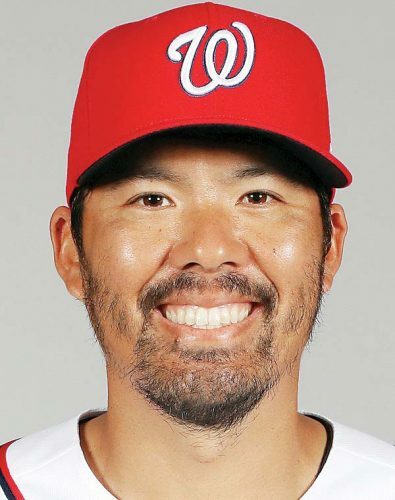 Mochi Dukelow 8, Owen Nakamura 0, Holden Ioanis 11, Reinhard Taidrik 4, Ben Wagner 0, Tyrone Nakooka 0, Kui Ross 8, Quintan Akaka 6, John Werner 16. Aira Baguyo 6, Abby Akamine 4, Ashley Akamine 12, Alea Kimokeo 1, Erin Hookano 8, Kiera Kaniho 2, Piper Pascua 3, Taylor Eldredge 3, Alexia Plaza 1, Teani Rickard 3, Susi Namoa 21. Jordyn Vierra 0, McKenzie Schwindler 0, Tia Caulford 0, Taylor Manangan 12, Precious Rayray 0, Aya Buttaro 0, Shalei Lee Awai 0, Makayla Chung 8, Saree-Ann Kekahuna 0. JR Villon 15, DJ Sable 3, Keoki Agtaguem 6, Kevin Cacho 2, Jojo Pacubas 22, Logan Nagamine 0, Isaiah Richards 7, Charlles Guansing 0, T-Jay Valle 1, Michael Villon 0, Kobin Harris 0, Brycetyn Boco 0, Chris Rummans 2. Ethan Bediamol 0, Thorren Rebugio 0, Darius Lauture 26, Carson Yoshida 9, Dylan Baird 2, Kai Carbajal 9, Jacob Wittenberg 0, Braeton Taylor 0, Corey Frias 7, Jovyn Nault 0, Akhil Fernando-Bell 0, Kaleb Chun 0. 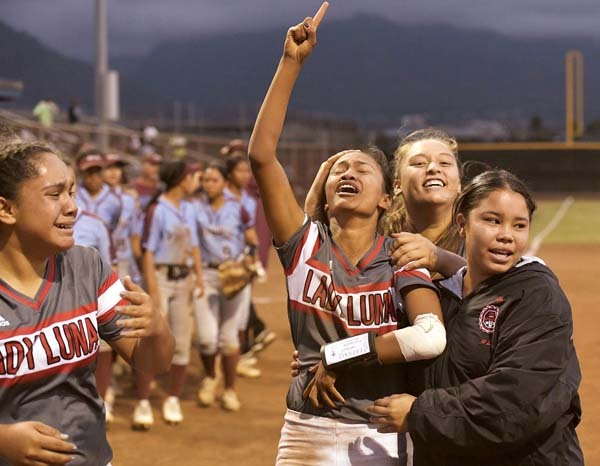 Hiilani Arai 3, Kyleena Rieta 14, Leiana Thornton 10, Natea Rosete-Tokuhisa 8, Nicole Otsuka 0, Atasha Timbreza 3, Makena Stevenson 0, Ronie Butihi 0, Mayghen Thornton 2, Althea Garduque 0. Cailyn Ukida 2, Keira Archangel 0, Lauren Albrecht 0, Charlie Abreu 2, T.C. Pahukoa 14, Namahana Kaeo-Young 24, Anna Lee Peters 0, Heather Pease 4, Kreyajan Pahukoa 13, Kamalani Puu 0, Aliyah Ah You 3, Kailia Purdy 1. Shasta Kalalau 14, Moani Kahana 2, Siliilagi Moeai 0, Shaylee Roback 4, Tracey Sinenci 4, Kaala Kalalau 6, Deisia-Rae Lind-Kaina 0, Clara Asay 2, Tyra-Li Perry 2. Gina Anton 6, Mary Claire Manuel 6, Celina Romero 10, Jasmine Molina 1, Ryllah Rodrigues 0, Amaya Hoopii Baptista 2, Sheilah Agcaoili 0, Ketrina Olter 0, Arriana Maltezo 12, Faith Arruiza , Giyana Agliam 4, Raquel Leoeuf Malacas 4, Brandi-lee Medeiros 1. Kaua Medeiros-Lind 2, Shayden Hoopai-Waikoloa 8, Chayton Keegan 7, Owali Moeai 0, Nahinu Lind 3, Keoki Hoopai-Waikoloa 6, Elijah Keegan 5, Huaka Park 10, Blade Hoopai 2. 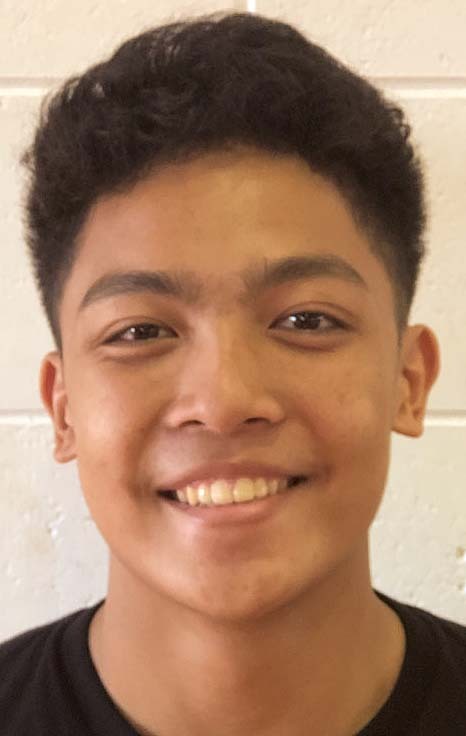 Joel Nisperos 0, Devin Vidad 12, Rayden Manuel 0, Renze Manuel 2, Jordan Belista 3, Kane Tubera 10, Jesse Sigrah 7, Andre Adams 10, Devrene Kahananui Alejado 18, Morgan Jonas 0, Jamahl Adams 2, Elijah Gima-Maltezo 2. Kaimana Baker 3, Nate Rabara 3, Calvin Johnson 4, Evan Essner 0, Jonathan Vergel de Dios 0, Christian Robson 0. Noah Payne 6, Carl Molinaro 3, Ujaiah Cunningham 4, Joaquin Donez 10, Cooper Waite 2, Caden Granum 7, Kai Preseault 9, Brayden Hasegawa 0, Kama Konohia 10, Masyn Johnson 4, John Biegel 10. High scorers–Seabury Hall: Ameera Waterford 17, Leela Waterford 10, Brittlay Carillo 7, Anau Tuivai 6. Molokai: Jordyn McCutcheon 8, Lia-Chae Myer 8, Kaitlin DeRouin 4, Cahlvrie Horner 3. High scorers–Haleakala Waldorf: Will Pang 14, Adrian Werthem 12, Pat Doster 11, Connor Fernandez 4. Molokai: Nickolas Rapanot 11, Stephen Agcaoili 10, Kanalu Kahale 8, Vaai Seumalo 8, Marc Bumatay 6, Ayden Inouye 4. 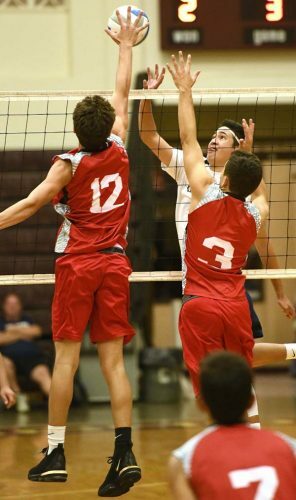 King Kekaulike at Baldwin, 7 p.m.
Kamehameha Maui at Maui High, 5:30 p.m.
King Kekaulike at Baldwin, 5:30 p.m.